Our native VPN app for Windows from now on is powered by fast and modern security protocol IKEv2/IPsec! It provides many benefits for users - from increased initial connection speeds to a longer battery life. The key advantage of IKEv2/IPsec protocol is its advanced architecture which guarantees efficient message exchange process and makes the connectivity notably faster. If compared to a widespread OpenVPN protocol, IKEv2 makes the connection to any server feel seamless. Most of the VPN providers offer extensive manual guides on how to set up IKEv2 on Windows, but none of them make their apps work with this protocol. Reason for this is that the logic and processes of IKEv2 and Windows OS are so divergent, that it is extremely complicated to make them work together automatically. However, after months of research and testing, our team finally managed to make it possible. 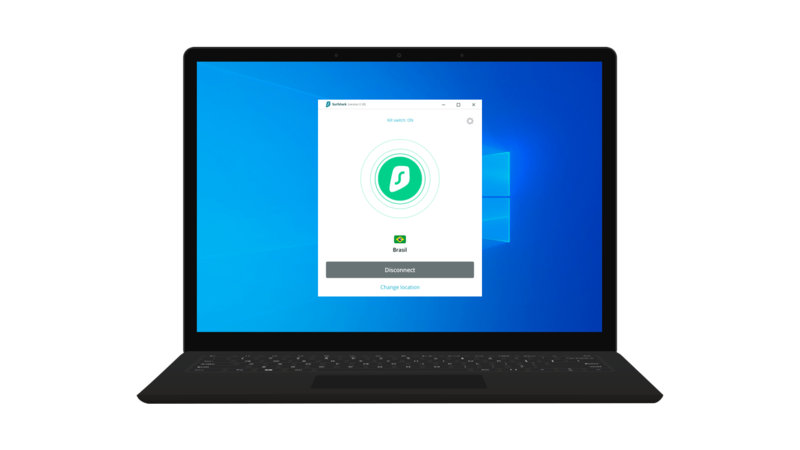 This recent update to Surfshark VPN for Windows means that today all the platforms and operating systems it supports, namely MacOS, iOS & Android, are based on modern IKEv2/IPsec protocol. Batteries of devices running Surfshark with IKEv2/IPsec protocol will last noticeably longer because the encryption process is much faster. Despite offering OpenVPN configurations for devices of most of the operating systems, Surfshark has long endorsed IKEv2 security protocol for its unmatched user experience and brilliant security. Also, earlier this month Surfshark got audited, thus becoming one of the few VPN providers in history to have their products investigated by independent security professionals. The audit of Surfshark Chrome and Firefox extensions was carried out by the acknowledged German cybersecurity company Cure53. You can find more information about the report in our recent blog post.